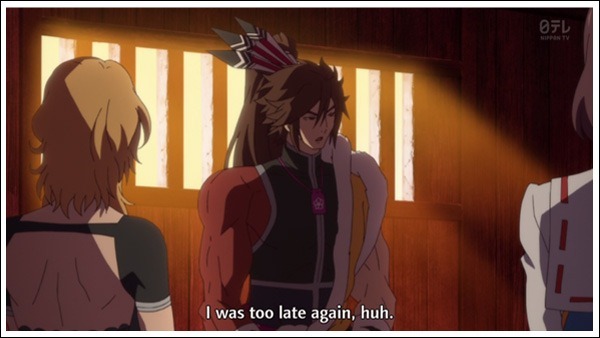 Whereas the first two episodes were mainly focused on the opening scene of the game Basara 3, where we see the events surrounding Ieyasu’s betrayal of Hideyoshi and what each character was doing during that time frame, episode 3 starts us off with the actual meat of the plot. From what I can see, Judge End will be sticking pretty close to the routes of each character, which is both a pro and a con; though the Production I.G. series strayed from the plots of the games to bring focus to Date and Yukimura, they were entertaining in its originality and utter ridiculousness. Judge End seems so far to be a pretty straight adaptation of the game, which means it’ll be much more serious and dramatic compared to its predecessors. I’m still on the fence about the art and the animation of Judge End. 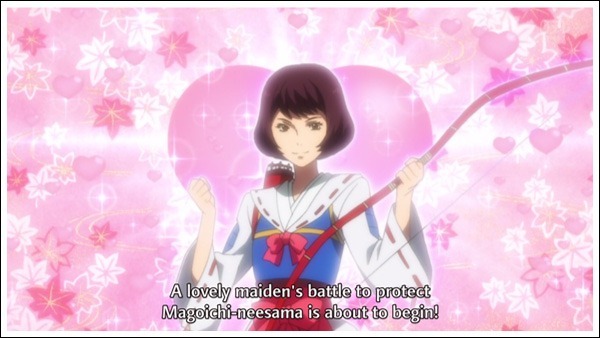 I’ve been spoiled by the pretty guys and smooth animation that Production I.G. had brought to the table by the time the second season had rolled along. I’m constantly looking at Mitsunari with a critical eye because there’s just something off about him. Tadakatsu being a literal Gundam will probably crack me up for as long as I live. No matter how serious and upsetting the Basara 3 game got, I could always get a nice chuckle out of the idea that Hondam exists. I always felt kind of bored throughout Judge End episodes due to the fact that there was nothing new they were bringing to the table since I saw the introduction scene of Basara 3 about twenty times in the game. But with the plot moving forward, it’s starting to get a little exciting. I get this vibe that the staff of Judge End are trying to portray Ieyasu as either a villainous protagonist or some sort of anti-hero, as opposed to his much more straightforward protagonist treatment in the game. 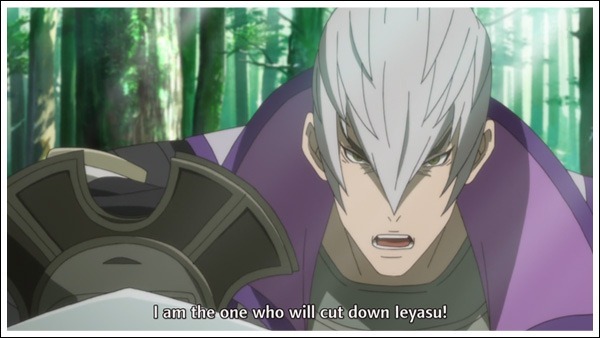 I would like to note here that in Basara 4, Ieyasu was quite the ambiguous character – he was as amicable as ever, but was prone to somewhat creepy and scary lines during battle. Ever since the scene where Ieyasu killed Hideyoshi, and we were given scene upon scene of how messed up it left Mitsunari, I started to feel as if we’re meant to sympathize with Mitsunari a lot more than we are supposed to during Basara 3. 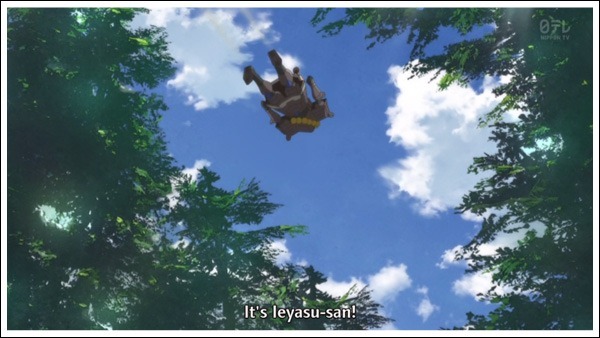 With the exception of Date, literally every character introduced so far has a big and understandable grudge on Ieyasu. Formation of the Eastern Army seems to be a faraway dream at this point.